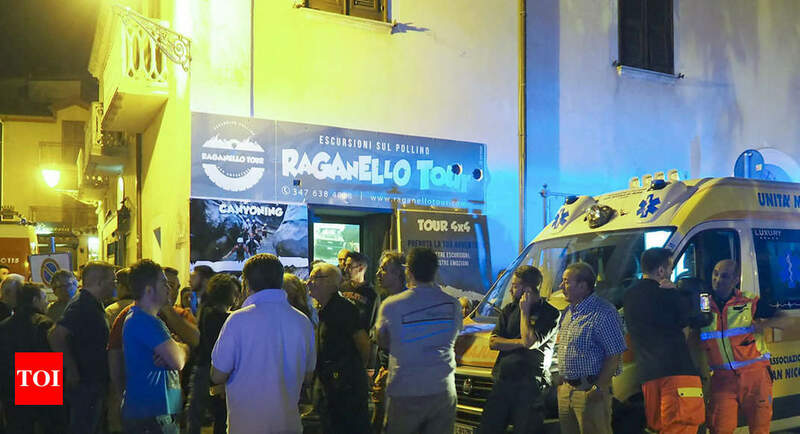 ROME: Eleven hikers, up from eight, are now reported to have died in flash floods in Italy’s southern Calabria region, with five people still missing, rescue services said today. Several hiking groups were caught yesterday afternoon by the flooding in the Raganello river gorge in southern Cozenza province, with local authorities saying that 23 people had been rescued. A Dutch hiker, quoted in local media, said: “A real avalanche of water came unexpectedly. We did not have time to do anything. I was lucky, it was an incredible thing.” On Monday, this part of Calabria experienced several hours of heavy rain and strong winds although conditions began to improve during the evening.